Friday 10th June - Flour Fight! David, enraged by Emma attacking him with a pen, attempted to take his revenge by coating his hand in shaving foam and paying Emma a visit. 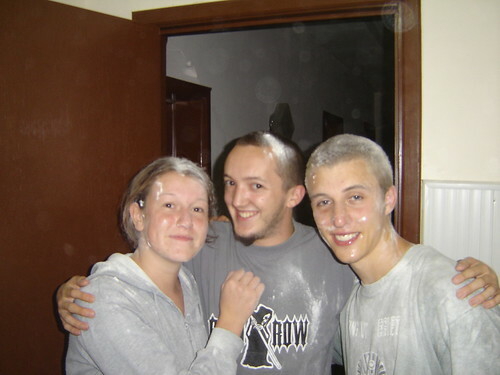 This might not have gone exactly as David had hoped as Emma retaliated with a bag of flour she was throwing out. The fight took place in the corridor where both parties got covered in the self raising flour. Only one onlooker sustained superficial wounds (me). All friends in the end.